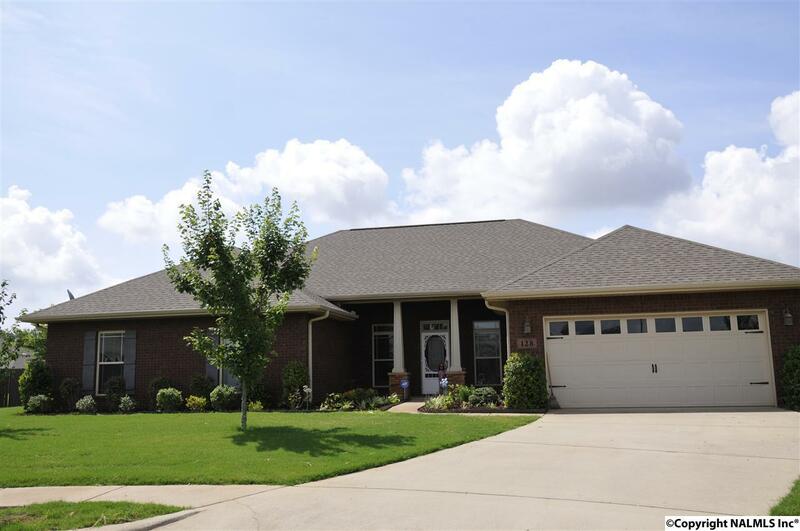 This 4 bedrooms, 2.5 bath, full brick ranch house is located on 0.31 acre lot. Hardwood floor covers dining room, study (can be the 5th bedroom), and living room area. Carpet in all bedrooms and ceramic tile in kitchen, laundry, dining area and all bathrooms. Granite counter tops in the kitchen and bathrooms with raised panel cabinets. Jacuzzi installed in the master bathroom offers you a relaxing time when needed. Screened back porch is good for family gathering and BBQ in all weathers. Propane fueled fire place in the living room. Private wood fence with a huge yard made this Cu-des-ac location that much more attractive for your kids to play without worrying. New Paint Aug 2017.